New: data transmission via Bluetooth! The Ergobar is the newcomer of the product range Ergokit. 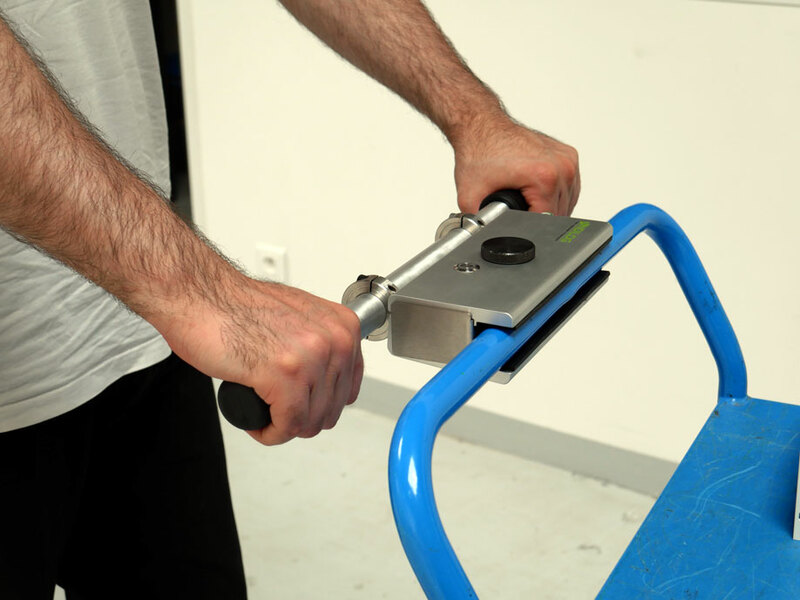 This portable force gauge with two handles has been specifically designed to answer the needs of ergonomists and occupational physicians wishing to measure the push and pull force on trolleys such as food trolleys, containers, forklifts, hospital beds and every other system of handling assistance for commodities or people. It enables to perform repeatable force measurements and gives indications on the initial and roller force. 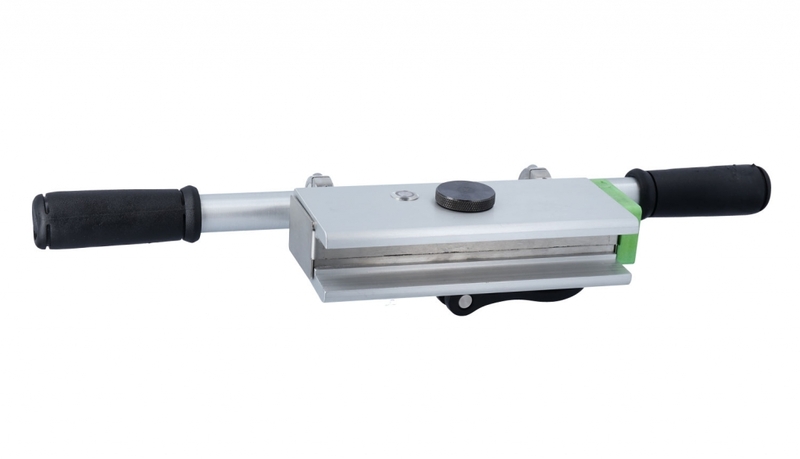 The Ergobar is an essential force gauge to determine which trolley is best suited for the working environment and the task to conduct (thermal constraints, obstacles, degraded floors, material of the wheel, brakes etc.). It is also a key tool for the ergonomic studies which provides you with concrete results for your proposals for improvement and the optimization of the working conditions: determining the ideal weight of the loads to move, the travel speed, the slope steepness, the congestion of the working space, the gap between the elevator sill and the floor etc. 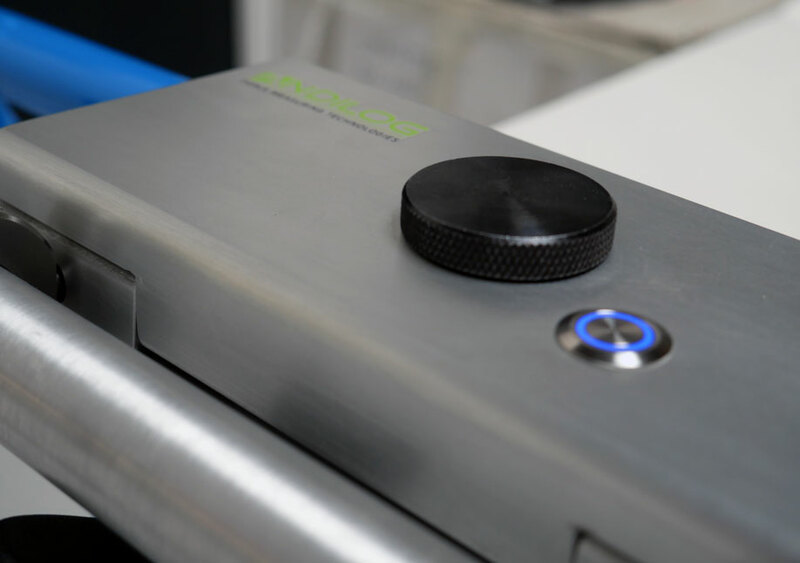 It is a highly precise device, easy to use and to install on various types of trolleys, which offers an optimal follow-up of the force data: the Ergobar is the most practical and indispensable solution for purposes of improving the in-house ergonomic of your company. The principle of fixing the Ergobar is extremely simple: its clamping element is suitable for a wide range of trolley holders. It enables you to perform measurements on dozens of divers handling trolleys, with different diameters and sizes of handles. The internal part of the Ergobar is covered with a rubber coating which guaranties the great stability during the manual pushing/pulling of trolleys and thus the great measuring precision. Connect your Ergobar to your computer or your Centor Touch, click on the start button and start your measurements! The data transmission of your force measurements occurs wirelessly thanks to the Bluetooth transmitter integrated in the Ergobar. The high sampling rate (up to 1.000 Hz) ensures detailed results for a sharp analysis of your curves. 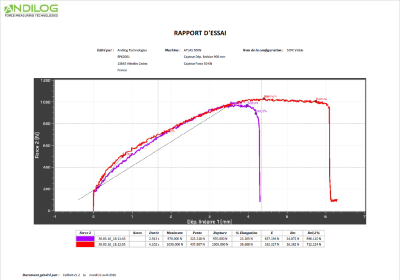 The force VS time curve is plotted instantaneously on the software Caligraph and up to 4 calculations can be displayed on your computer. You can choose between Newton (N), decanewton (daN), kilograms (Kg) o pounds (lbs). It is also possible to program force thresholds with an acoustic and visual signal for a better control of the pushing/pulling forces that should not be exceeded (19 daN for the initial force and 9 daN for the roller force under the standard NF X35-109 for instance). The data acquisition and report software Caligraph offers a wide range of functions to facilitate your ergonomic measurements. 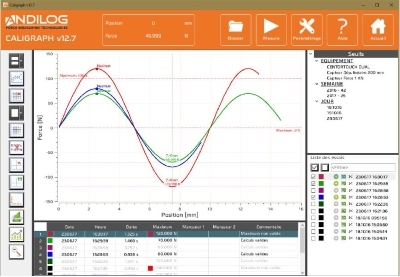 Caligraph enables you to select the curve of each measurement to visualize them. The comparison is facilitated by the various graphic tools (i.e. color, size) available with the software. You can add up to 5 markers on the curves and comments such as the degree of slope, the congestion of the working space, the floor material etc. The pre-registered calculations are displayed below the graphic and/or on the curve. The average and the standard deviation of the selected tests is done automatically above the results table. Caligraph also provides an editor for your ergonomic analysis. The selected data can be exported in PDF or Word in personalized reports with the logo of your company, headings and footers. Of course, the points of the curves can also be exported into Excel for ulterior analysis or an integration into other software (i.e. Matlab). With Caligraph you ensure the traceability and the detailed follow-up of your ergonomic measurements for your push and pull tests.